Realtors from all over will tell you the housing market falls off when the leaves do. Labor Day arrives, the seasons change, and apparently no one wants to buy a home until spring. But that just isn’t true. The belief is so ingrained that many sellers take their homes off the market for most of fall and winter. But wait, because you might be missing out on some of the most motivated buyers of the year. It’s true that leisurely homebuyers wait until summer to browse listings and purchase a home, but the buyer’s market is eager for a new home year-round—especially at the end of the year. If you’re ready to sell your home, here are five reasons you should do it during the holidays. If you think homebuyers disappear during the holidays, you might be surprised by the growth of applications that come in throughout wintertime. They’re on the rise, with a surge of homeowners and homebuyers applying to refinance or purchase their first homes this month. The increase in buyers is good news to people wanting to sell, but only if their home is on the market. Being willing to sell during the holidays ensures you take advantage of sudden trends like this one. While we’ve proven that buyers don’t disappear for the holidays, you can actually leverage that real estate maxim to generate more interest for the holidays. Most people believe it and decide not to bother with open houses and refreshing their real estate listings. With so many sellers taking their homes off the market, inventory tightens, which always tips the scales in favor of sellers. If you decide to sell now, you’ll have lower competition and are likely to receive more interest—and more bids—on your home than in the spring, when inventory surges. Statistically it’s true that more homebuyers appear when the weather changes again, but winter buyers are often in the market because they’re motivated, whether to take advantage of low mortgage rates or because they recently moved and need a home as soon as possible. They’ll be scrutinizing and more interested in what listings are active. If yours is among them, there’s a much better chance they’ll see and pay attention to it. There’s another big reason buyers are especially motivated right now: tax benefits. First-time homebuyers, especially, are eligible for a number of tax credits for the following year, but anyone who buys or refinances can write off those mortgage points. If people expect to pay a lot in April to the IRS or if they’re hoping for a larger refund they’re more motivated to buy a house before the end of the tax year to increase their write-offs. Knowing these tax benefits, a lot of family members use the time of the year to withdraw from their IRA without penalty to help kids finance their first home, and others exchange financial gifts in lieu of physical presents. Those putting off homeownership until the last minute are in a rush to find and close on a home before the tax benefits are pushed off until next year. That rush can send a flock of buyers to your home if it’s listed. Do homes look better with green lawns and bright flower gardens? Sure. The crisp and fresh colors of spring can enliven any home, increasing its appeal to buyers. 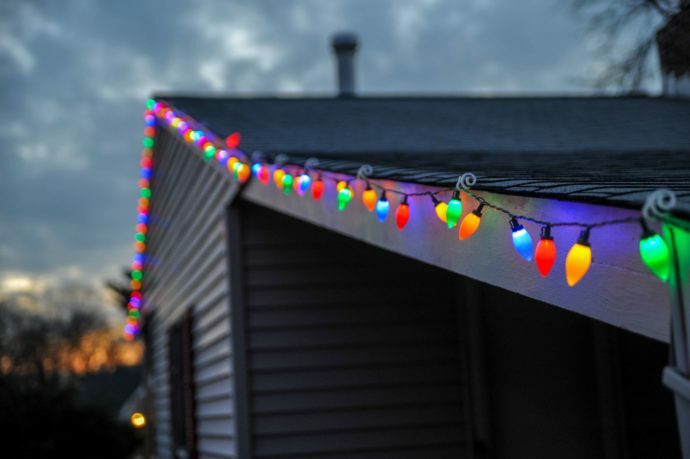 Very few homes look their best in the dead of winter, but selling during the holidays gives you a key aesthetic advantage: A lot of homeowners make their houses look their very best during this season, a fact you can use to market your home. Appropriate seasonal decor can give your home a level of charm and coziness that most buyers want to see in their future home, and if you’re already cleaning for parties or visiting relatives, you don’t have to do a lot extra for an open house. The season also attracts buyers motivated by New Years resolutions to stop wasting money on rent. The holiday season continues into the beginning of January, and many people are resolved during that time to make big changes in their lives. Buying a home is often one of them. Armed with bonuses and gifts from relatives, many people are poised at the start of the year to take the leap and buy a home. Hate the idea of moving on Christmas? Your buyer probably hates it too, which means you two can negotiate a moving date after the holiday stress has lessened. Just because you sell and close during the holidays doesn’t mean you have to move at that moment. When you draw up your contracts, you can agree to delay the actual move by a few weeks, giving you time to decompress before you begin packing and moving into your next home. Whether you’re buying, selling, or refinancing a home during the holidays, we’re here to help. Contact us today about securing a pre-approved mortgage!